If you are suffering from complete tooth loss in one or both arches, you are not alone. In fact, the American College of Prosthodontics estimates that 36 million Americans do not have any remaining natural teeth. To restore your smile and quality of life, you have likely tried dentures; however, they did not give you the results that you wanted. Not to mention, they did not stop the deterioration of your jawbone. To regain the next best thing to your real teeth, dental implants in Brookline can help. You will regain a complete smile while preserving the density in your jawbone. 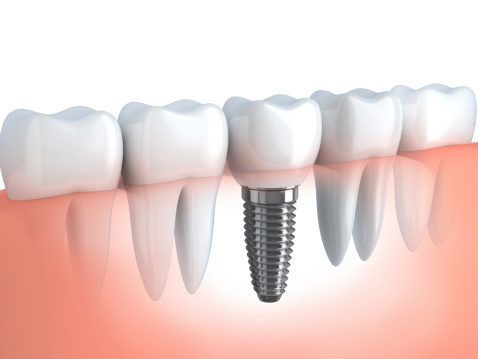 Although the words dental implant are often used to refer to the entire structure of a tooth replacement, they are technically a threaded titanium screw that is implanted in your jawbone to substitute for a missing tooth root. If you’re considering dental implants, Boston Dentist Dr. Alan Sasson at the Boston Smile Center has years of experience. Losing one or more teeth to damage or decay can be a devastating blow, both to your overall health and your self-confidence. Many people with unsightly gaps in their smile find it hard to even leave their home, much less interact with their friends and coworkers without feeling embarrassment or shame. Even worse, losing a pearly white can lead to additional dental problems in the future if left untreated, including an increased risk of periodontal disease, misalignments as the remaining teeth reposition in order to fill the space, and even additional tooth loss. 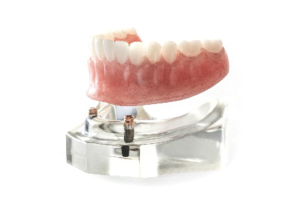 Of course, you may consider bridges or dentures as a potential solution, but these restorations can feel lacking and unnatural in some cases, leaving patients dissatisfied. What can be done? Thankfully, Dr. Sasson offers the answer at his Brookline, MA office: dental implants. With our team’s warm, thorough help, you’ll be enjoying a revitalized smile in no time! 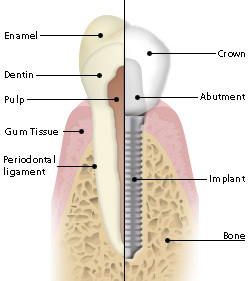 How does the dental implants process work? The dental implants procedure essentially consists of two major steps – the implantation and the restoration. First, after Dr. Sasson has carefully examined your teeth and gums in order to ensure you’re a viable candidate for a dental implant, he will place a small titanium post securely within your gap. Then, once an appropriate amount of time has passed for this post to fuse successfully with your soft tissue, you’ll come back to the office for your beautiful, new custom-made restoration to be placed atop it, completing your look. Dental implants have countless benefits, including stability, beauty, and even optimal health – it’s the only tooth replacement method that actually stabilizes and even regenerates bone tissue in the jaw! Unlike many dentists who are only able to perform the restoration process, Dr. Sasson has 25 years of experience of an implant dentist, and he’ll be more than happy to walk you through every single step of the process himself, allowing you to avoid the messy situation of having to keep appointments with several practices. Contact Boston Smile Center in Brookline, MA today and schedule your FREE consultation with Dr. Sasson. Our team can’t wait to give you a reason to smile!